It's time Canada develops a plan to get rid of "the dirtiest, the cheapest, the bottom of the barrel fuel on the planet" without placing a burden on northern communities, says specialist. The Canadian government wants more study on the impact of eliminating heavy fuel oil in the Arctic before it signs onto an international agreement to ban its use there. In an unexpected turn of events, the U.S. is keeping its end of the bargain under President Donald Trump. Last summer, the U.S. — along with Finland, Sweden, Norway, Germany, the Netherlands, Iceland and New Zealand —proposed that the International Marine Organization ban heavy fuel oils from Arctic shipping vessels by 2021. "A single HFO spill could have devastating and lasting effects on fragile Arctic marine and coastal environments," the proposal says. "In addition, Arctic shipping is projected to continue to rise, thus increasing the risk of a spill. For these reasons, the ban on HFO should be implemented as soon as possible, and any delay in implementation of the HFO ban by eligible ships should be short-lived." Canada, however, wants a delay. It joined the Marshall Islands — one of the most popular places in the world for shipping companies to register their vessels — to submit a request for things to be slowed down until further study on the economic and other impacts of such a ban on Arctic communities can be completed. Among the concerns: heavy fuel oil is far cheaper than the main alternative, diesel, and replacing it would drive up the cost of getting supplies to remote Arctic communities. Food and other goods are already far more expensive in the North because of the cost to ship them there. Canada's position doesn't say it won't support a ban ever but it does want more study before seeing one put in place. The Nunavut government wouldn't comment for this story. Heavy fuel oil is a sludge-like byproduct of making distilled fuel like gasoline. It is half the cost of most alternatives but produces far more pollutants including 30 to 80 per cent more black carbon, a problematic pollutant in the Arctic. In 2009, the Arctic Council called heavy fuel oil "the most significant threat from ships to the Arctic environment." It also breaks down far more slowly than other fuels like marine diesel, meaning it's nearly impossible to get rid of once it spills into the ocean. 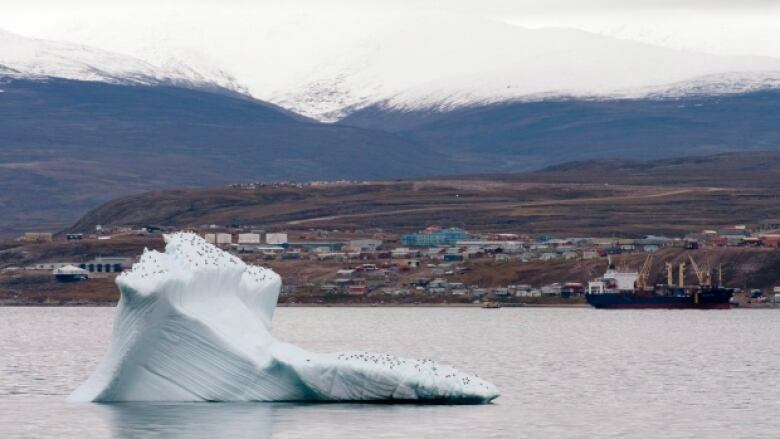 The International Council on Clean Transportation reported that it's the most commonly used shipping fuel in the Arctic and its use there is growing as climate change expands shipping options through the far North. Andrew Dumbrille, sustainable shipping specialist at World Wildlife Fund Canada, said he doesn't understand the need for delay, given that Canada has known for "months and years" that this issue was coming and committed to addressing it with Obama. "So, they've been doing nothing to do cost-benefit analysis or do they have one?" he asked. "Have they been sitting on their hands hoping the issue will go away and now it's not — so now they're sort of caught off guard and want to put the brakes on?" bottom of the barrel fuel on the planet" without placing a burden on northern communities.